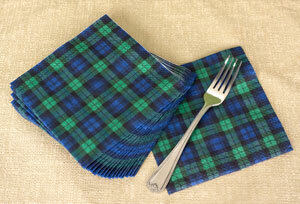 Add a touch of tartan to your events with these paper napkins. 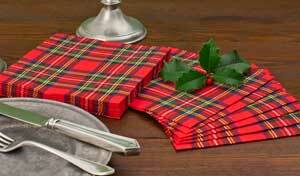 Dress your table with this 13 ft long runner. 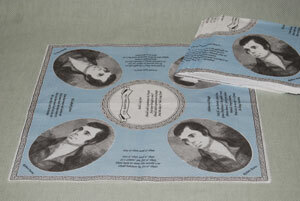 Easy to cut to fit two smaller tables. 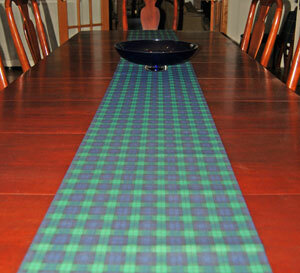 Dress your table with this 13-ft.-long runner. 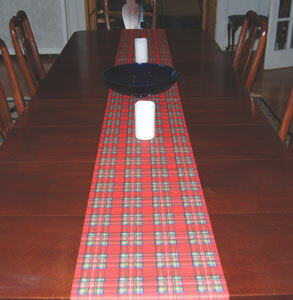 Easy to cut to fit two smaller tables. 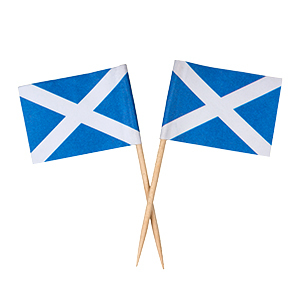 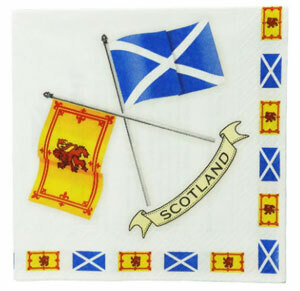 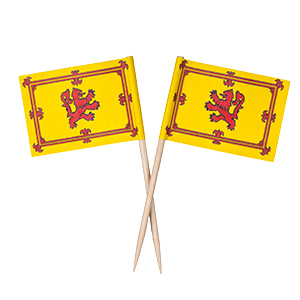 Make your party Scottish with these flag napkins, featuring both the cross of St. Andrew and the Lion Rampant flags.